Easily configurable for a wide range of throat to burning area ratios. Nozzles with a modular simple design. 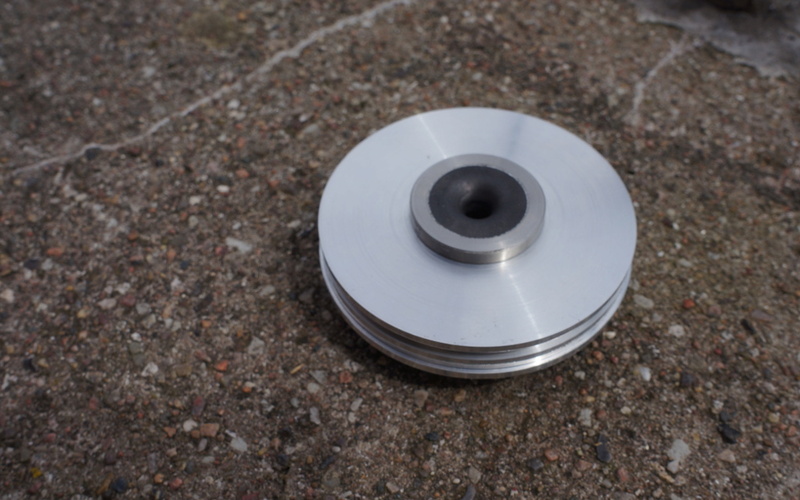 Graphite throat inserts for use with high combustion temperature metal loaded propellants. In order to reduce the amount of manual machining, the nozzles are constructed of identical stainless steel nozzle blanks. 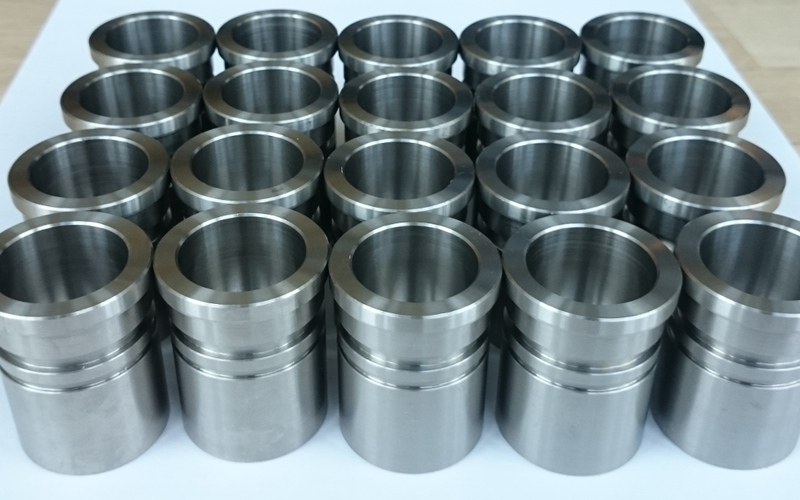 Before final machining of the different internal nozzle geometries, graphite nozzle inserts are bonded into the stainless steel blanks with high temperature ceramic potting compound. The final result after machining 10 nozzles with different throat areas. The nozzles are all designed with an exit area ratio between 3.8 and 5.8. Post test, the outside looked a little “smoked”: The small line leads to a streamer that is used to recover the nozzle and bulkhead in case of an ejected nozzle. In an “over pressure” situation, the casing is designed to fail between the external groove and the internal snap ring groove in the nozzle end. This failure mode occurs before the casing yields hoop wise, thus making it possible to reclaim the rest of the motor casing into a slightly shorter “new” casing. 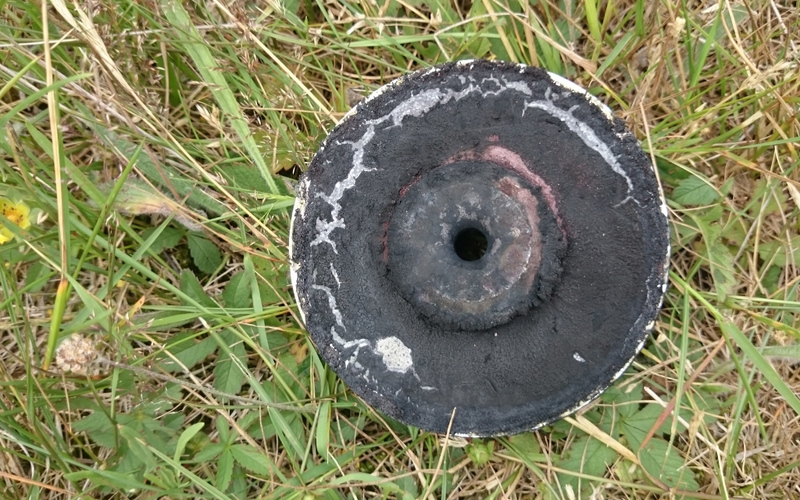 The insides looked at little bit more “used”: However the graphite nozzle inserts survived without any significant change in throat diameter. The soot deposits where easily cleaned of. 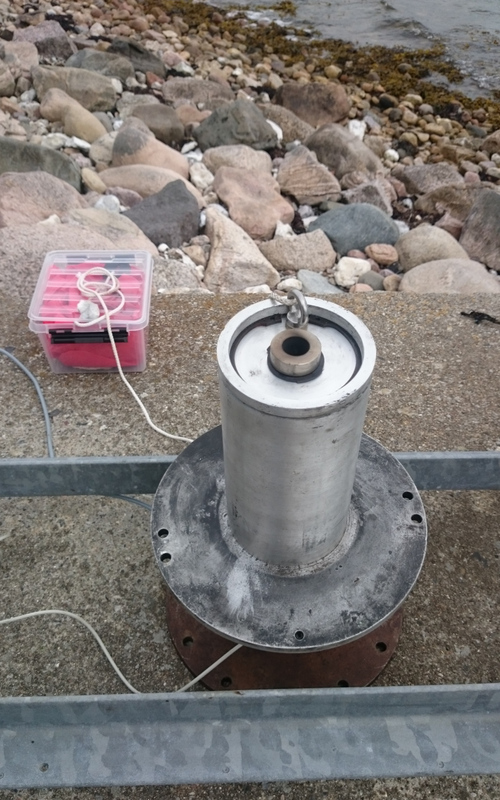 All in all a nice day at Stold with satisfying results for both the new test motor system and a new propellant composition with the highest aluminium loading of any succesfull DARK motor to date.